Pre-Construction. To be built. Pre-construction. To be built. Gorgeous open layout with 9'4" walls and soaring cathedral ceilings. Large built-in kitchen overlooking huge great room. Master suite with walk-in closet and walk-in shower. Laundry room with large pantry. Kitchen/dining room with 8 ' sliders onto large lanai. Granite tops, wood cabinetry. Close to shopping dining, boating and golfing. Short drive to area beaches and all new shopping plazas. 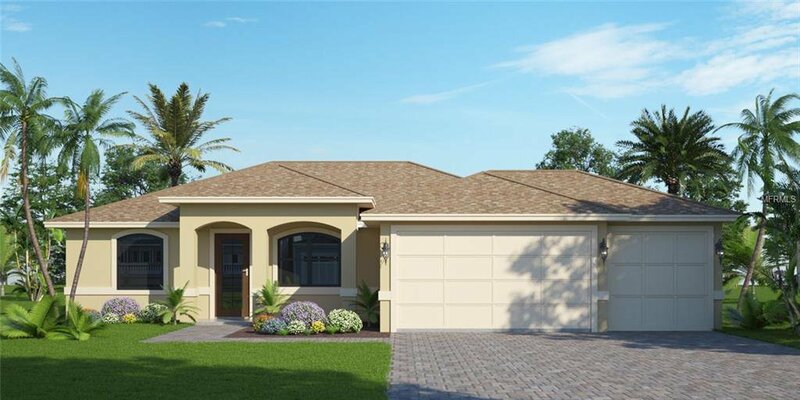 This model starting at $249,900 on your lot Pool packages starting at $35,000. Pictures of similar home under construction. Call for a personal tour of our model today. See attachment for floor plan. Paradise begins at your front door.